Create NSW’s Emerging Producer Placement initiative for 2018 will focus on providing opportunities for Aboriginal and Torres Strait Islander screen creatives through two six-month paid internships in industry. Applications are now open for the initiative which aims to uncover Aboriginal and Torres Strait Islander emerging producer talent and match it with NSW production companies best suited to hone their skillset and creative form. The two EPP recruits will spend three months working with the Create NSW Screen Investment team headed up by Director of Screen Investment, Engagement and Attraction Sophia Zachariou, followed by three months in industry. They will also have the opportunity to attend key industry events as part of the internships. Elizabeth W. Scott, who recently joined Create NSW as Executive Director, Create Investment and Engagement, said the initiative remains a fantastic platform for uncovering talent and developing networks that have led to continued work for past recipients. “In previous years we have supported female and culturally and linguistically diverse producers and are very proud to focus this year’s efforts on finding roles for our emerging Aboriginal and Torres Strait Islander talent across the State. “This targeted initiative provides valuable jumpstarts in the industry and boosts the industry with much needed fresh perspective. I am proud that Create NSW is so passionate about making changes across the shortfalls that we know exist in the Australian screen industry,” she said. 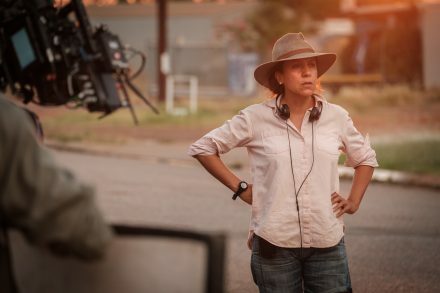 Blackfella Films’ Rachel Perkins, director of the recent Create NSW-supported hit ABC series Mystery Road, applauds the initiative. “Great producers are the key to empowering Indigenous storytelling. We at Blackfella Films welcome this new focus to encourage excellence and fast-track the careers of the next generation of emerging Indigenous producers,” she said. Media Reconciliation Industry Network Group (Media RING) Chair, Tanya Orman offers further backing, “Media RING is proud to support the Emerging Producers Placement program offered by Create NSW for Aboriginal and Torres Strait Islander emerging talents. “Great opportunities like this enhance and develop careers to grow their skills, experience and relationships within the media and screen industry. This aligns to Media RING’s vision ‘to lead and inspire positive change’,” she continued. To apply, applicants must be living in NSW and have at least one credit as a producer on a short film or web series. Shortlisted applicants will be invited to interview and once finalised, recipients will begin their placements in mid-October 2018, with the dates to be mutually agreed by both parties. Applications are now open and close at midnight Monday 10 September 2018. For guidelines and applications, click here. Create NSW is committed to supporting increased participation in the industry of people from underrepresented groups including women, Aboriginal and Torres Strait Islander peoples, people from culturally and linguistically diverse backgrounds, people with disability, LGBTQI people, people from Western Sydney and people from regional NSW.